As indicated by the Partnership for 21st Century Skills, in the last 20 years the emphasis on second language learning has changed from simply learning grammar and information about the language to emphasizing students Communicative Competence. Why? Because with the increasing demands of the 21st century, “language education is critical to our students’ success in the world of the future: a world that will insist upon their need to interact effectively with others who do not speak English” (ACTFL). 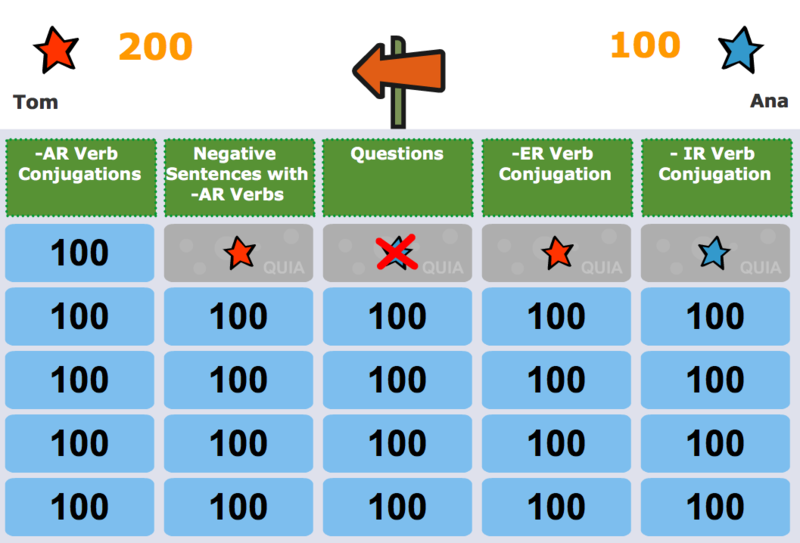 This change in focus means that our assessments should reflect our new learning objectives. 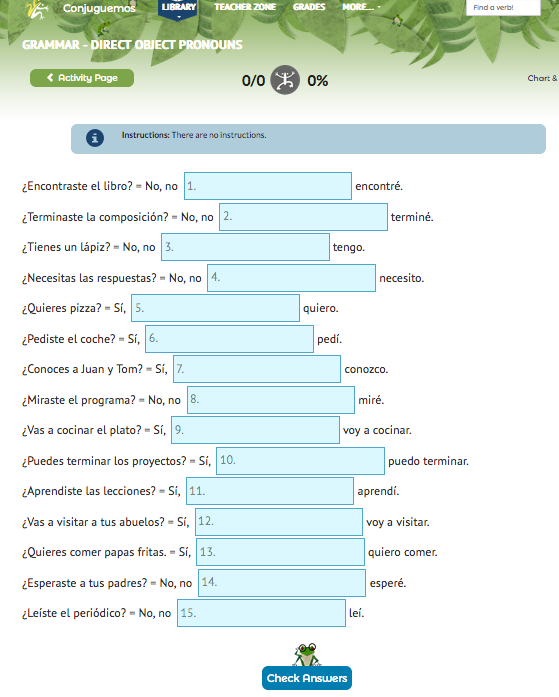 The typical foreign language test from 20 years ago that consisted of multiple choice and fill-in the blank questions cannot longer be used as the main assessment today. We now have an array of summative and formative assessments that can be used for different purposes at different points during a unit of study. At the LCMSD most of our students are beginning second language learners. 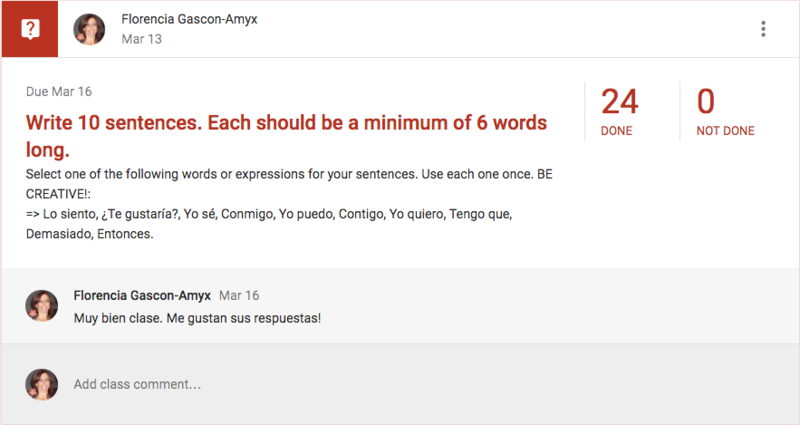 Their Spanish is emerging and there is no need for an extensive rubric. 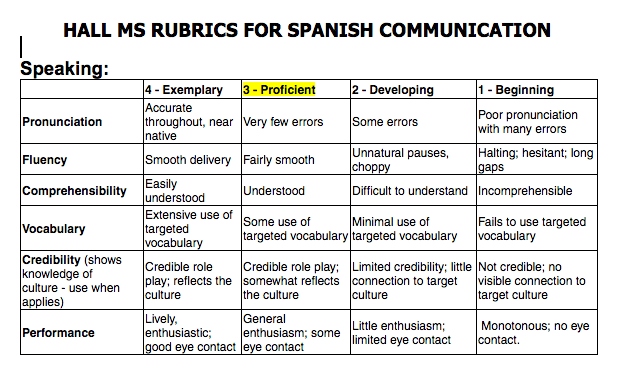 Below are the three simple rubrics we use to assess the four skills of language. Formative assessments come in different "shapes and sizes" and can be used at the beginning, middle or end of a unit. They are used as a tool to give feedback to students or to guide teacher instruction. Some examples of formative assessments are: questionnaires, observations, quizzes, exit tickets, response logs, graphic organizers, think-pair-share, class discussions etc. Summative assessment are usually administered at the end of the season. Their main purpose is to evaluate student learning. They usually have a high point value. Some examples of summative assessments are: end of a unit test, semester exam, state mandated assessments etc. The end of a unit assessment could be a "traditional" paper test or an online test. 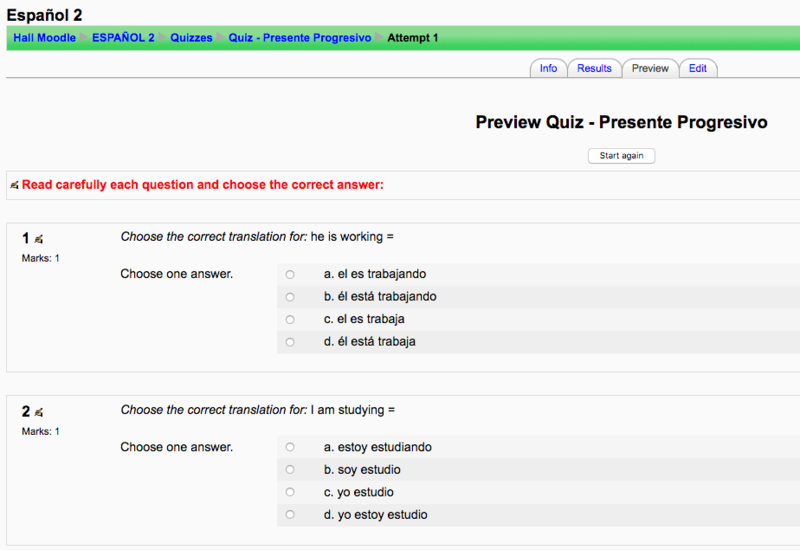 Most of of my tests and quizzes are online, which has been been great for my students and for myself as well. One of the big benefits of online assessments is that students get immediate feedback after they finish. They are able to review their wrong answers, get feedback and reflect on their mistakes. Another benefit is they love to be able to see their grade after they submit their test. 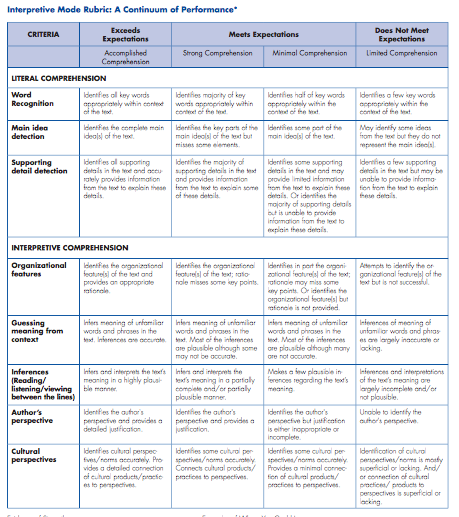 The ACTFL (American Council on the Teaching of Foreign Languages) offers a comprehensive set of rubrics to assess the three modes of communication: Interpretive, Interpersonal and Presentational. 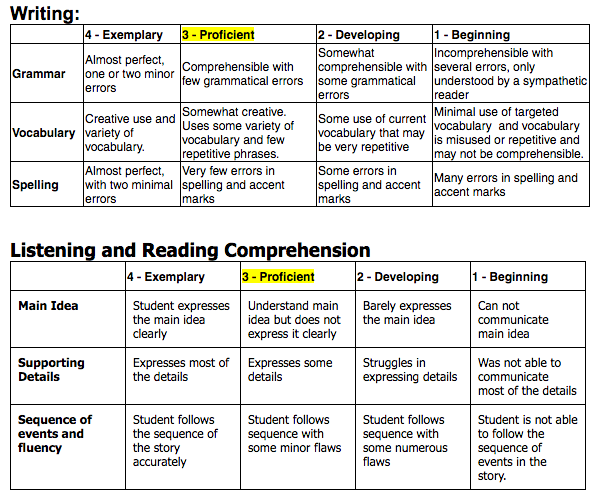 I recommend using these rubrics as they are or as a guideline to create you own. Graphs are a great way to visually display summarized information in a way that is easy to understand. There are many types of graphs: Pie chart, Bar chart, Line chart, Histogram etc. The decision of what type to graph to use depends on the information to be displayed and the preference of the user. 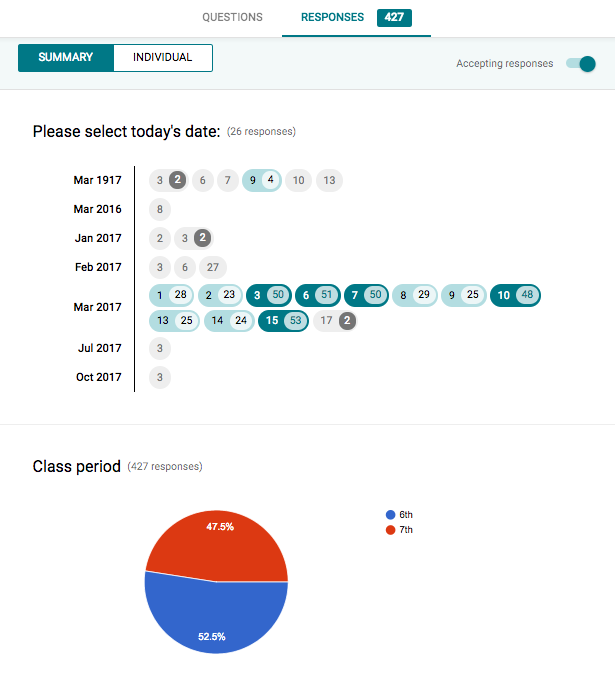 When doing student surveys or formative assessments, pie charts are probably the most popular type of graph. 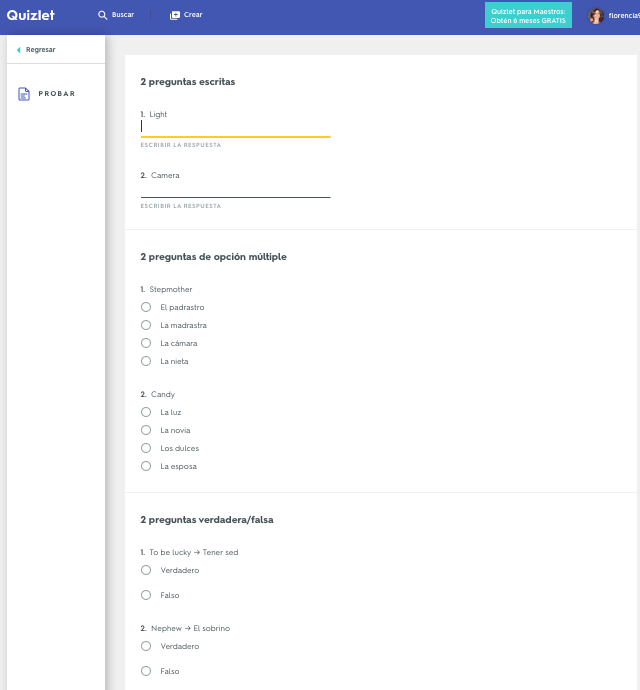 For me, one of the reasons to use pie charts is that survey programs and applications like Google Forms automatically summarize the results on a pie chart. 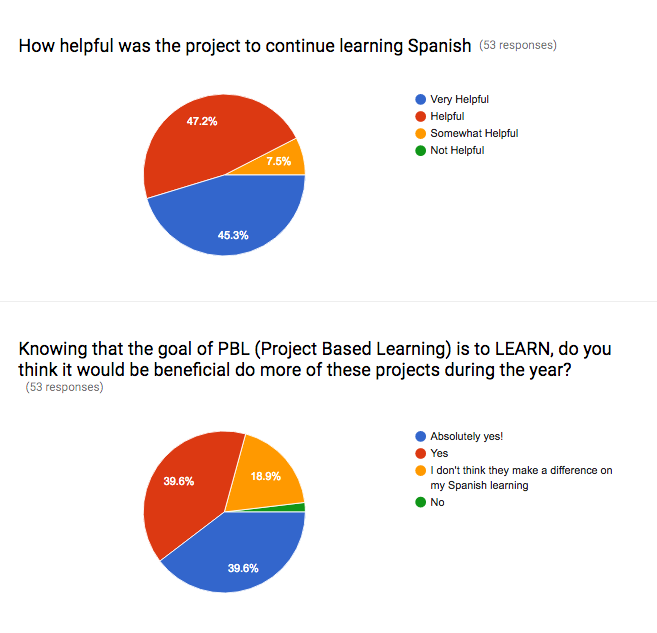 Below are two examples of the types of graphs created in Google Forms after results are submitted. Notice on the left image how the survey was taken multiple days during March. A total of 427 responses were recorded.